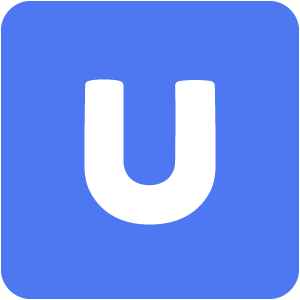 Use Universe to discover amazing things to do nearby, and sell tickets to your events using the most advanced social tools.
" Ticket sales solution for events." Allows me to manage in a simple way all the phases that make up the pre of an event, usually every time I leave a collection I organize expo to show my creations since the issuance of tickets, inventory, ingenuity and reimbursement. Through the control panel I can track the objectives and progress in marketing. In relation to customer service, it is not fluid since it can not be transferred to customers after they make a purchase. -Tracking of the profiles of the buyers. "Good software for my personal needs"
I have tried two other software solutions before Universe, but this one I found to be the simlest and the most user-friendly. One time I had my mom to set up a charity event and she managed to do it all by herself, even though she is not computer savvy to say the least. The interface is very intuitive. It is also quick - few minutes of setting up and you are ready to take payments. That's very convenient as well. Honestly, I am pretty sure, that I sell more tickets with it than I would have without it. But I am so used to it now, I cannot imagine setting up a gig any other way. Also their customer service is great. I did have trouble with the mobile application, nowadays you sort of expect software to come with fully-featured app by default, so that was quite frustrating. It is not, as I say, "worldwide-friendly" - it is in English. I often organize gigs in Russia and Slovakia, so there I prefer to use local similar systems, some of which have larger fee. Also some people, I think, might find the design feature to be a bit limited. Not much of a problem in my case - I usually organize typical gigs. Reports are not too informative. If you need something to help you to organize small and medium gigs, and save you a lot of time, and not charge you too much this one is for you. I have tried different software before, one - was too expensive, the other I found to be too cumbersome. This one suits me better so far. Basically it saves me a lot of time on the organizing and I will definitely keep using it in future. "Universe is the best thing for event ticketing in the universe"
Everything is simple, clear and intuitive. Anytime I wondered "hey, how do I do this?" it was exactly how I figured it should be. Anytime I thought "Hey, if this was really a good tool, it would have this" and it did. Also, it just looks good. The site is clean and well designed. I don't have any real complaints yet. I suppose there could be a few more options for website design but honestly I liked what I used. This allows me to promote an event and sell tickets with ease, and it takes away so much of the logistical stress and paperwork trail of trying to do it in-house (which is especially tricky for a non-profit like us). Another benefit is that I am working in partnership with other folks to put on an event, and using Universe allows us to promote it generically, not associated with just our organization. "the name of the product is Universe"
It is very easy and convenient to use. I can simply go on the web page of Universe and start my event and easily sell the tickets. As a teacher, I often organize events for my students and this simple software helps me greatly. It is very easy to navigate. It solves several tasks: organizing, promotion, managing. I can not complain as I like it a lot. I am sure with the development of progress there will be some new and more advanced software programs to use. Maybe some negative features will be noticed later by me, but for now I am absolutely happy using Universe. I would highly recommend to use Universe if you are involved in organizing any kind of events. If you are a small event organizing or a big company, it will be a very useful. Specially Ticket manager is a very beneficial feature that can solve many problems at once. I am involved in organizing international educational events, such as conferences and with the help of this software I can easily do it online, starting from promotion and ticking up to complete managing it online. It saves my time, very logical and easy to follow. I can easily track the sells of the tickets and manage guests of the event. "Better Branding & Great Customer Service!" I've used a variety of Event Registration systems, but none allow the customer to better brand the platform than Universe. The best feature, by far, is being able to embed the entire registration process into your own website. The Universe team has been incredibly responsive & helpful as we have transitioned several clients over to their platform. Not only that, Universe will save you money in most cases. There are a few features still missing, but in the grand scheme of things they are minor & the team promises they are coming. Namely - you can do % discounts, but not $ amount discounts. Make the jump, you won't regret it!! The biggest complaint clients had about Universe competitors was not being able to embed the registration process entirely in their own website. The software is generally good, i don't have any negative comments at the moment. The quality of support could be tested further. I think people should at least test this software, it might be useful if you are engaged with tiickets management or in a similar role. The software can be quite useful. "Easy to use, lots of fun and it's free!" It's ver easy to organise an event on universe, and can find lots of fun events nearby as well. And best of all, it's free to create free events, and it's cool to send an event invitation to your friends! I use it not only for business events, but also to organise Sunday fun days and kids parties! It's not Australia local, need more and more people to use it. It will be more local recognised if it uses an au domain name and do more advertising in Australia. It's a great tool and excellent App! It's ver easy to organise an event on universe, and can find lots of fun events nearby as well. And best of all, it's free to create free events, and it's cool to send an event invitation to your friends! I use it not only for business events, but also to organise Sunday fun days and kids parties! Organise company parties and events, as well as personal fun days and kids parties! "Clean appearance, fairly easy to navigate, a little cheaper than Eventbrite"
Event website has a very professional appearance. I'm able to export registrant information as an Excel spreadsheet. Universe honored my former relationship with Eventjoy and waived fees for first year. I found the Eventjoy interface simpler and more intuitive. It takes more clicks to get to the page as customers see it, so it takes longer to find the link when I want to simply paste it into an email for a potential customer. The labels for designing the registration form and retrieving ticketing information don't seem that intuitive to me, either. The appearance of the Eventjoy registration page also put the image in the background and the title in large text in front of it. This meant you got to the critical info. much more quickly, w/less scrolling. From the design end, it would be helpful if the image width were specified so I could create an image that fits the template on the first try. In the ticketing process, it would be really useful to be able to duplicate and then modify my template from an earlier event. I ask a set of standard question for each event, and in the current process, have to re-enter all of these questions and possible responses manually. I also do not receive notifications when I sell tickets. I've been told that they are "soft-bouncing," but that they don't know why this is and can't do anything about it. I never had this issue with Eventjoy, either. My comparison is to Eventjoy, which I liked better, but overall the service is good, the appearance is nice and professional, and it's relatively easy to use. The price outcompetes Eventbrite, so it's still the best option I know of. The site gives us the ability to offer online registration securely. Once the promotional period ends, I'm not sure if our customers will be willing to pay the increased fees for that convenience. Traditionally they have mailed in a check, paying only for the stamp. Most still prefer this option, so when fees double, even more may prefer to mail a check rather than pay registration plus credit card processing fees. "I Prefer Universe.com Over Other Online Ticket Sites"
From day one the Customer Service was exceptional. Also, I love the fact they had a Landing Page that was excellent. Unlike Eventbrite, their landing page can be customized with fonts, etc. I like everything so far. Universe has nailed it as far as my needs. I would highly recommend especially if you use Stripe.com payment platform. Eventbrite does not support Stripe.com payments and that is a major issue with me right now. They do support PayPal, which I also use, but I prefer Stripe.com. Not everyone online likes or prefers Eventbrite for whatever reasons. I have found that certain events do very well on Universe and not well at all on Eventbrite. The event guest list check-in feature was so helpful and so easy. It downloaded brilliantly to our iPads and allowed us to manage the list easily and get guests into the door quickly. I don't dislike anything now. I had used Universe years ago when it started and there were definitely kinks. All of those have been worked out and it's now a very useful and reliable tool. I was really happy to see those changes happen and how solid the system now is. I often host large scale events that require populating guest lists and doing door management. Universe's system just makes this all seamless. For the first 11 years of our existence, Syracuse International Film Festival used our own website and local merchants to sell tickets/passes to our annual festivals and other year-round events. In 2015 we decided that we really needed to use a more robust, user friendly ticketing system. After researching a number of online ticketing systems we picked Universe Ticketing. We’re very glad that we made that decision. We found Universe very user friendly. We were quickly able to set-up multiple events at a variety of locations around town and adjust details if needed afterwards. We had various levels of ticket/pass pricing including some events that we were offering a discount for or were free. Universe allowed us to adjust the pricing for each event as needed and to track all these various price points. Our attendees were able to print out their own tickets or show us them on their smart phones which made for a quicker and more pleasant entry into the festival events. The many reporting features allowed us to accurately track events and who was attending them. Our Board of Directors appreciated the easy to understand financial reports and the reasonable costs for using this system. When evaluating any ticketing system a question to ask is – Would you use it again? The answer for us is Yes. We have already set-up ticketing for our SpringFest event and plan to use Universe Ticketing for all future events. We would recommend Universe Ticketing to others. None of the features of the Universe Ticketing system make it difficult to use. It is very user friendly both for the people setting up the events as well as the people looking to get tickets. We would recommend it. Try it for an event and see how easy it is to use. The ability to sell or giveaway various levels of tickets/passes to our festivals and other events. Using Universe Ticketing offered us a number of benefits from the cost or the system to being able to track events and attendees. "Good alternative compared to EventBrite or BPT"
Fees (2%/$.99 per ticket) were less than Eventbrite (which we also used to sell tickets for the same benefit concert). Free event option available with no fees. Much quicker and easier than setting up a custom hosted solution to sell tickets (with drupal, wordpress, etc.). Not quite as popular as other event management systems such as EventBrite or Brown Paper Tickets (so people may not be apt to search for local events directly from the Universe site, especially in smaller towns or unknown/new events). Give it a try (along with a few other hosted solutions) and see which you get the most ticket purchases from. "Started off good. Has gone way downhill." I did like the ticket widget integration into my website, however now they simply offer a link versus a ticket widget or even button integration. Many features have gone down hill—from ticket integration to customer service to an overall quirky software. I will set the parameters for my ticket sales dates and sometimes, for some reason, they will randomly change-closing the ticketing dates before the set date. I've checked this several times to see if I had just made a mistake about the date I selected, but it changes many times. I'm in the process of switching to to EventGrid. The customer service has gone hill as well. Several people simply don't return my emails. I would test it out on less important events to see if there are quirks. Selling tickets from my website. It's easy to setup and allowing multiple payment gateway selection along with social media integration to share and get discount off the tickets. the best recommendation is; sharing of the event on multiple social media platform to receive discount on your ticket purchase. most effective way to increase revenue with streamlined event management system with built in marketing tools for a seamless user experience. "Best ticketing service out there." Easy to use, easy to integrate, simple fee structure, incredibly easy check-in, perfect customer support. Some international payment options not available yet. Try the software, talk to their team, such a simple and easy to use software. Top. Need a simple solution for ticket purchases online, need a service easy to integrate, no hiccups, and no headaches. Everyone loved the service. "Needs a few tweaks, but overall very easy to use. " The integration into our website was my favorite feature of Universe. To not have send people to an outside source to purchase a ticket was very helpful. The inability to customize reports before downloading. Our attendees have indicated that they found the process to purchase tickets easy and clear. That is a great benefit for us. "Why I would recommend Universe to anyone!" "Universe provides a trusted registration service with ease of use." This service provides our organization with a method of registration easily acceible for the registrants. We would like to receive notification of when registrations occur. Online registration is preferred by many of our customers. I love the 24/7 technical support! It is great! I am solving inventory issues! This really helps me stay on top of my inventory! Ease of use, and promotion for posting events. The low fees make it accessible to all and any types of event organisers. Worked really well when I was running events for my business. Having a relationship with the community managers there also helped me to promote my event. Very helpful. Cheap event ticketing system and simple interface. Only went through the trial period and left before implementation. Organizing events and ticketing system. * We monitor all Universe reviews to prevent fraudulent reviews and keep review quality high. We do not post reviews by company employees or direct competitors. Validated reviews require the user to submit a screenshot of the product containing their user ID, in order to verify a user is an actual user of the product. Hi there! Are you looking to implement a solution like Universe?